For kids growing up these days there’s a countless number of activities and sports available for them to participate in. After school programs and organized sports are beneficial to the youth as it gives them an opportunity to develop a skill or interest in a hobby or sport, helps build self-confidence and instills values such as teamwork and determination. But in today’s uber-competitive environment, athletes as young as 13 years old are receiving college commitments and joining travel teams that force kids to focus on a single sport in hopes of receiving a college scholarship or going pro. Let’s face it, the chances of your child becoming the next Lionel Messi or Lebron James is very small. Pressuring your kid into continuing a sport they do not enjoy is not always best but you don’t want your kid to become a lifelong quitter. Below we highlight two major reasons kids often want to quit a sport and suggest reasons for them to stick with it throughout the season. One of the most common reasons a child to wants to stop a sport is they feel they lack the skill required to excel or contribute to the team. It’s never fun to be the last player picked for a game or have difficulty understanding the sport’s concept. Parents, if your kid is having a hard time learning the game or improving, it’s important to practice empathy. Instead of challenging your kid, let them know not everything is mastered on the first try and, with hard work and determination, they will improve. Rather than focusing on the stats or minutes played, ask what they like about the sport and share a personal story about when you yourself had difficulty with a particular task. 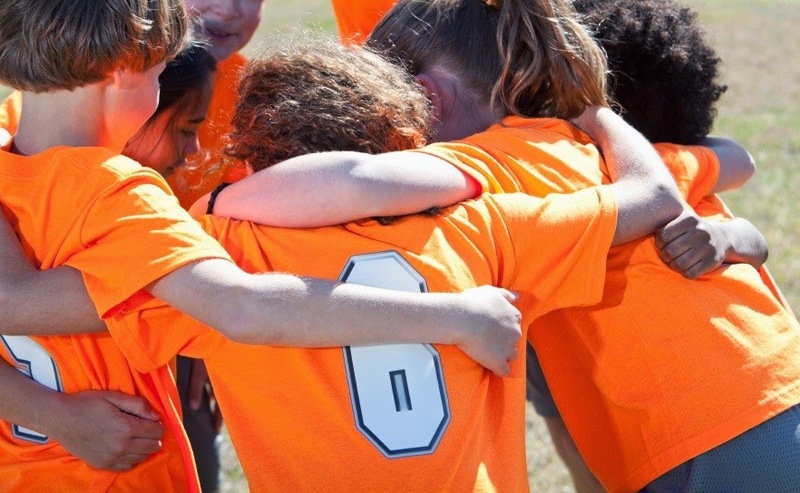 Did your child meet new friends or learn the values of teamwork as a member of the sports team? Focusing on the positives can help kids see the benefits of participation they otherwise may have overlooked. If you’re a parent who believes your kid will become a professional athlete we caution you about the dangers of placing undue pressure on your child. Participation in youth athletics can do so much good and teach your child lifelong lessons but parents often fail to realize their own egos can get in the way of this. Avoid being one of those “sideline yellers”, openly questioning the coach or players. Even if you don’t realize it, you are placing pressure on your kid and their team, which can turn a fun afternoon game into a seemingly life-or-death contest. Take a deep breath and remember it’s all just a game!